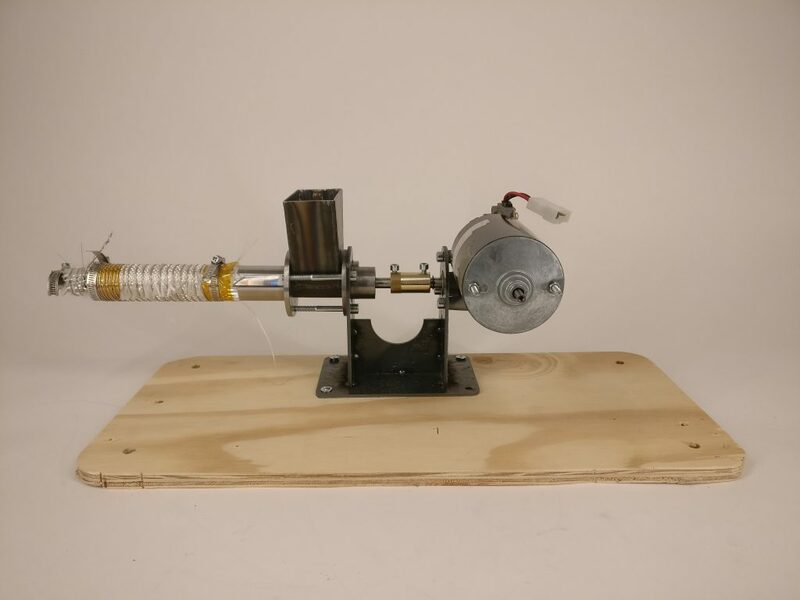 Since we have gotten access to some waste plastic granulate a friend of mine decided to build a 3D printer extruder that will work directly with this material. The plan is to mount this extruder directly on a large Delta 3D printer. 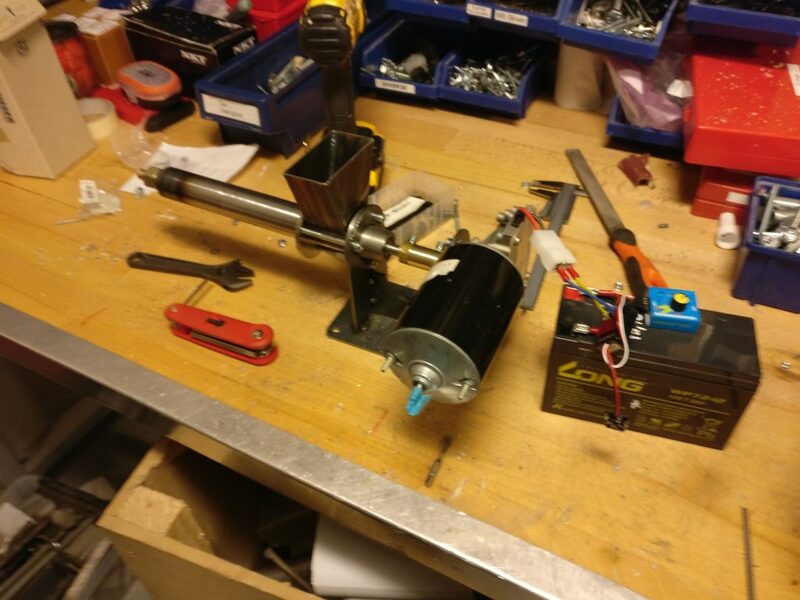 After the first initial tests we realized that the motor needed much more torque. 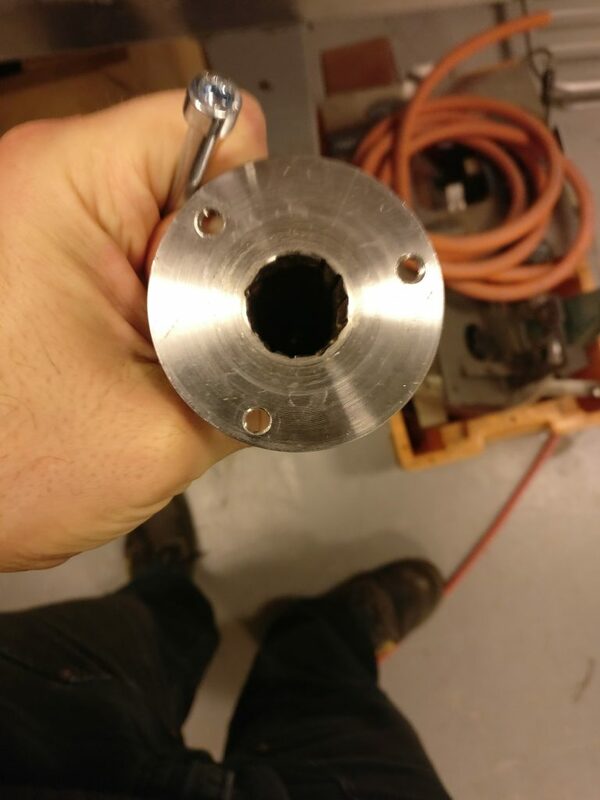 Also since the extruder will be mounted vertically some changes to the granulate feeder will be made.